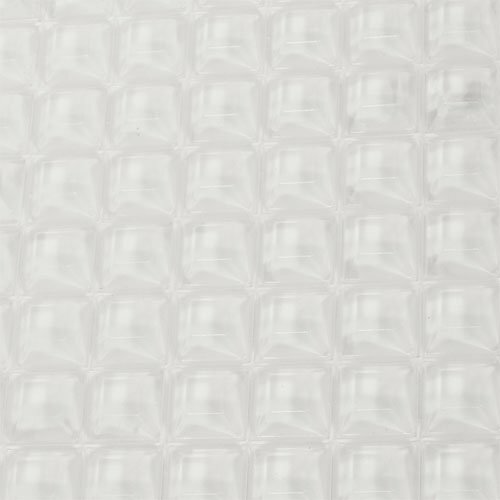 Protect your cabinets, appliances, and other valuables with our unique and innovative polyurethane moulded cushion bumpers. These bumpers are great clear pads to stick under items that may scratch your furniture. It can be used to protect delicate surfaces, to soften the impact and noise from cabinet doors, lids and drawers, to provide clearance between two objects or to cushion the impact of one object on another. Stops and softens the impact and noise for cabinet doors, lids and drawers. Since these Bumpers are transparent, they are suitable under glass or where appearance is important. These are also flat on top to provide a solid, stable surface between two objects. One side is coated with a adhesive for easy application. These clear bumpers can be applied to feet on the bottom of blenders, appliances, desktop calculators, electronics, cabinetry, telephones, keyboards, scales, clocks, speakers, home theatre equipment, dispensers and computers. To use, just peel them from the backing material and apply the sticky side to your item. Each bumper measures 7.6mm (0.300") Thick x 20.6mm (0.810") Square. One sheet contains 98 pieces of bumpers.